Case Study – Onlinejobs.ph Review – Good or Bad? Starting an online empire has never been easier. But building it, sustaining it, and making it grow, now that’s the challenge. You can automate a lot of things in your business, but there will always be tasks that need to be done by a real human being. Benjamin Tong had the ambition and the know-how to start an online business and make it grow. All he needed were people to help him make that happen. But hiring employees locally would mean taking a considerable chunk of his profits, forcing him to operate at a loss. There’s no point in starting a business if you can’t make a profit, right? So he tried outsourcing and discovered Onlinejobs.ph 4 years ago. Now with 8 virtual assistants, he runs a worldwide dropshipping and Amazon FBA business that has him shipping dozens of container vans full of products to the US every month. How did he find the right people to fill all the roles he needed to work on his businesses? And what were the challenges he encountered working with Filipino VAs? Benjamin shares them all here, plus a few extra tips that can help make your outsourcing experience as successful. Hi guys my name is Benjamin Tong, I’m from New Zealand. I’ve been using online jobs for the past four years and through that time I’ve found eight different employees to use for several of my online businesses. In this video I’ll be running through a little bit about my online businesses, why I hire through online jobs and why you probably should too. My first business was an online lead generation site in the home and commercial security niche, it was a basic content site and we allow visitors to request quotes so we send those quotes onto local installers and that’s how we make our money through that…, through that site. So my second business was a pair of sites in the accommodation affiliate niche, so they also were content sites visitors would go on there to…, to view information about different cities. When they booked vacation rentals through our sites we…, we got Commission’s on those. So my third business was an online drop shipping site. So we sold outdoor homewear and we handled all the marketing, yeah the site management, the advertising and our manufacturers shipped directly to our customers, and is all US-based. So my most recent business is as an Amazon FBA business, been doing that for the last two years and that’s been our key focus. We manufacture home in kitchenware in China and we ship that to the US and we sell on amazon.com. So in the last fourth quarter we shipped out for 40 foot floor loaded containers and that’s up a huge amount from our first shipment which was in q4of 2016 where we shipped out three pallets, so some very good growth and Amazon FBA business in the last two years. So onlinejobs.ph has the largest talent pool of work from home professionals in the Philippines that I’ve found anywhere online. Obviously with be the largest talent pool comes your highest chances of finding a hire that’s gonna fit your job. Now depending on the types of jobs that are posted, I’ve had it anywhere from thirty to a hundred different applicants. Obviously this depends on the type of job you’re posting. If you’re going to be posting for a general VA, expect that on the high side. If you’re posting for a developer or a specialized designer you can expect more on the lower end. Now onlinejobs.ph charges sixty nine dollars for a one month membership that includes three different job postings. So if you are looking at more than three postings in that one month, you’d probably be better look at their premium plan, which I haven’t used before but it’s got a few different interesting upgrades. So it’s got unlimited job postings for that month. It also has free worker coaching and free background checks which I believe would be pretty useful, something I’ll be looking to give a try on my next hire. So other job sites will charge you an on-going percentage and obviously that’s paid by you the employer. I like that onlinejobs is a simple one month fee after that you just deal direct with your new employee and kind of turning out in the middleman. Now hiring out of the Philippines has three main benefits: the first is that English is a native language. Obviously that makes a lot easier to communicate daily with your VA, less chance of misunderstandings as well. Now the second is the wage savings. In the US you should be expecting to pay about two and a half thousand dollars for a an average skilled employee. In the Philippines for a similarly skilled employee be looking at about $500, so you know that’s one fifth of the price that you’re paying for a similarly skilled worker and the Philippines versus the US. 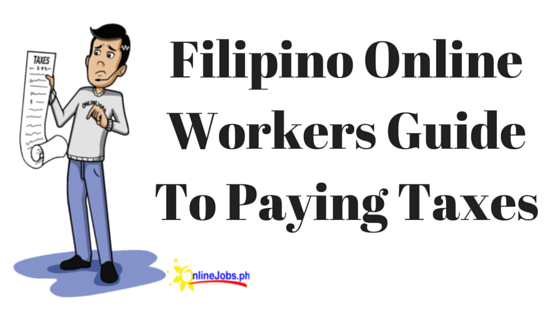 Now, also the Philippines has an established labor force of trained and skilled online workers, and you know the Philippines has been very strong at their business processing or BPO industry over the last twenty years. So they’ve got a lot of experience, a lot of call centers set up in the Philippines and they’re used to this work from home style of working. And so no matter what sort of job that you’re looking to post, there’s a very good chance that you’re going to find a hire which has experience, has worked in a similar sort of industry and who…, who may well be able to step into your job without much fuss at all. In the last four years I have used onlinejobs to fill eight part-time and full-time positions. So I’ve hired two writers, one general VA, one graphic designer and four customer service VA’s. The first content writer I worked with for just over a year, the other was part-time for…, for about four months. Now they wrote me articles on home security on city guides for our accommodation websites, wrote descriptions for our e-commerce store. They both turned out very good, high quality work and very fast. Hiring writers I found, this a lot easier than hiring any other type of VA. Really you just need to review their past work and then give them a paid trial and give everybody the same paid trial with the same brief, and then find out if the writing stuff matches what you’re looking for in a writer. Now I’ve generally found that writers in the Philippines will naturally write in a much more formal tone, so you know great if you need sort of informative style articles but, and you know, if you need a writer with a witty and entertaining writing style then it’s going to be more difficult. Probably a better idea to look in the US for…, for one of those sort of writers. But of course you expect to pay 5 10 maybe 15times more than what you pay in the Philippines. So my general VA was with me for about six months full time and then shifted to part-time as the work sort of slowly dried up. Vincent has been my only male hire VA. You know the reason for that is it’s just a whole lot more female VA is looking for work in the Philippines than male VA’s. Vincent was great, he was hard-working, reliable, he handled a lot of email outreach for me, basic image editing, blog posting layouts, and posting itself for several about different websites. So a quick tangent, general VA is you know definitely the most popular staff hires, and you always get a ton of applications. People always like to talk about the super dream VA and their VA who can handle pretty much any task you can throw at them. Unsurprisingly, I’ve found that super VA to be a bit of a myth too so instead I suggest that you select two to four of your most important skills that a VA should have and then after that you…, you’re still looking for attitude. I always I like to ask the question as to what have you done to improve your skill set in the last year, so this shows the sort of person who’s actively trying to improve their skills to get better. Now with this sort of mind set, with the sort of attitude, you’re gonna find a lot easier to train people new tasks and things which they perhaps don’t have a background in, but they’re willing to learn and put the work into getting better. Now my designer, I initially hired Crystal to work on t-shirt designs. She’s actually now been my go-to designer for…, for well over a year on a project-by-project basis. So she now helps them with everything from packages designed, to- banner ads, image editing pretty much anything which revolves around graphic design she…, she helps me with. Now she hasn’t had a lot of experience and some of these like…, like packaging design for products, but I’m again I said she’s just got a growth mind set and she works to actually get better at these things. So with a bit of patience on both sides it tends to work out very well. Right, now, customer service VA’s, I’ve hired four customer service VA’s for our Amazon FBA business and our e-commerce business, we’ve had a much harder time finding a good match for those. The problem is for our business is that we need phone support, and phone support during US hours so and that’s…, that’s effectively a graveyard shift in the Philippines and so phone support graveyard shift -things that you’ll find a lot of VA’s be quite reluctant to do. So obviously our talent pool is a lot smaller and it’s just…, just been a reasonably high turnover and not an easy task to find good VA’s for the sort of job. If you’re after a capable VA who perhaps only handles emails you need a 24 hour window reply like a standard Amazon FBA VA it’s gonna be a hundred times easier to find then than what we need in in our business. So right, that’s about all for me and I can say that I am 100% recommending onlinejobs for anybody who’s looking to make a hire out of the Philippines and should have used onlinejobs to fill different roles in my business. And I’ll be using them again in the future as I need to define new staff members. So also if you’re ready to make your hire I actually have filmed another video about a year ago with ten of my best tips for hiring virtual assistants and specifically using onlinejobs so I even include two…, two of my standard hire templates to my job description briefs that should help get you started and make life a little bit easier just drawing up brief. So thanks for watching my video I hope you got some value out of it and that’s all for me. Cheers! Before you hire your first Filipino virtual assistant, take the time to learn everything you can about outsourcing to the Philippines. We have posts about paying your VAs and how to continue motivating them that you can check out. If you want to learn more from real entrepreneurs who outsource, check out Jesse and Travis‘ stories. She’s a full-time wife and mom and volunteers her time as an internet rights advocate. You can follow Julia on Twitter and through her blog. 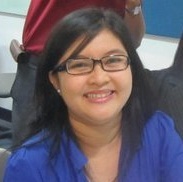 This is not related to the Case Study, Yet I want to express my thanks to onlinejobs.ph of how its helping VAs like me. WITH NO EVEN GETTING A SINGLE PENNY like other online platform. THIS IS A TRUE SERVICE, a FILIPINO SERVICE. I WONT EXCHANGE THIS PLATFORM TO OTHER ONLINE PLATFORM. KUDOS PO ADMIN and STAFF. GOOD HEALTH AND GOD BLESS!! KUDOS PO ADMIN and STAFF. GOOD HEALTH AND GOD BLESS! !